Sit back, relax, and learn more about Dempsey Dyer – the industry specialists. Since 1977, Dempsey Dyer have been manufacturers of high quality windows and doors. Over our many years of trading, we have sought to offer the most comprehensive product range available under one roof in the fenestration industry. We serve the trade and commercial sectors with our supply of uPVC and timber products. This product line includes uPVC products fabricated from Deceuninck profile systems and timber profiles manufactured at our own UK headquarters in West Yorkshire. Whether you are based in the trade or commercial sectors of the fenestration industry, Dempsey Dyer’s constantly-updated research and design programme ensures that we can always offer the latest additions to your product lines. In turn, this ensures that you can meet the demands of the end user and therefore please more customers than ever before. Our reliable supply of windows, doors and conservatory systems is based on fast lead times, quick turnarounds, high quality, and reliability. Equally convenient, all products are available in a range of styles, and include high performance hardware – as an example, any item that features MACO locks is instantly guaranteed by their Secure Plus Scheme. It is this combination of priorities that has led to our growth and extensive accumulation of pleased customers. 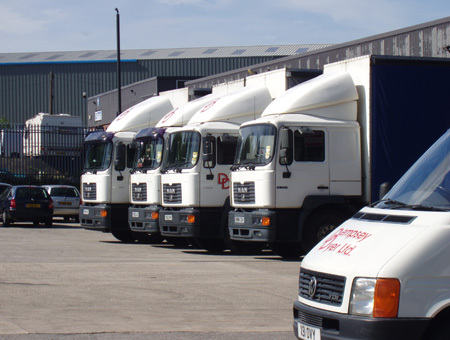 Over the years, Dempsey Dyer have won many contracts for large and small commercial organisations, including councils and housing authorities. Our dedicated commercial department are here to work with you throughout every step of your project, from pre-contract meetings and designs, right through to the installation of the products and aftercare advice. With such a reliable trade supply, our customer base covers a very wide area. We have customers in every corner of the UK; from Southampton to Cowdenbeath in West Fife, and may in every location in between. Our strong customer base allows us to provide competitive prices for windows and doors, in timber, uPVC and composite materials. We can also supply our in-house manufactured timber conservatory systems, or incorporate our windows and doors into uPVC systems from reputable external suppliers. Our supplies of high performance products are a simple solution if you are looking for a cost-effective way to enhance leads, turnaround times and your overall business. Whatever the size of your project, we can provide the high quality windows and doors to match. Efficiency is a priority, and we will ensure that strict budgets and time scales are met. We can enhance all homes with a range of home improvements, including timber-look windows, elegant front doors and bespoke living spaces. We make it easier to get one step closer to your dream property. To find out more about working with the industry specialists here at Dempsey Dyer, get in touch with us today. A member of our friendly team will be in touch with you as soon as possible.